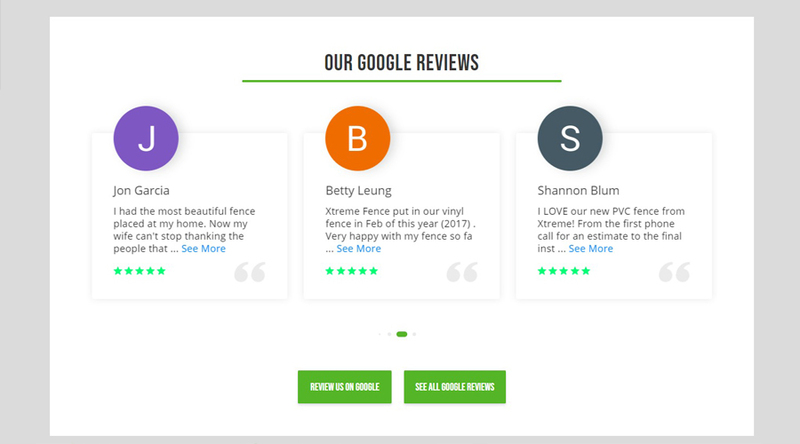 Xtreme Fence of Florida is a rapidly growing fencing installation company that services Broward and Palm Beach counties in South Florida. They outgrew their previous website that was designed and developed by Godaddy and needed a more professional and modern web presence to match their reputation in the real world. We built a custom website theme on the WordPress platform with large fencing picture galleries to display all of their installations. And also imported all of their ratings so that potential customers can read them on their website instead of having to go to other platforms. Their existing logo was in low-resolution PNG format, so we managed to find the exact font that was used and recreated their logo in a high-resolution SVG format. 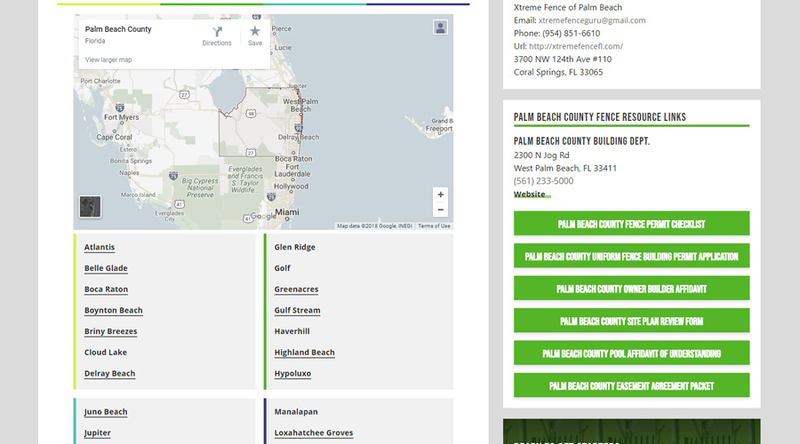 Each page was optimized for local search so that potential customers in Broward and Palm Beach counties can easily find them if they are searching for common fence terms. They are now ranking on the first page for practically every city in South Florida. We used our custom WordPress framework and built a totally custom website on top of it. While most other WordPress design firms use pre-built themes, we choose to create 100% bespoke solutions as a standard. 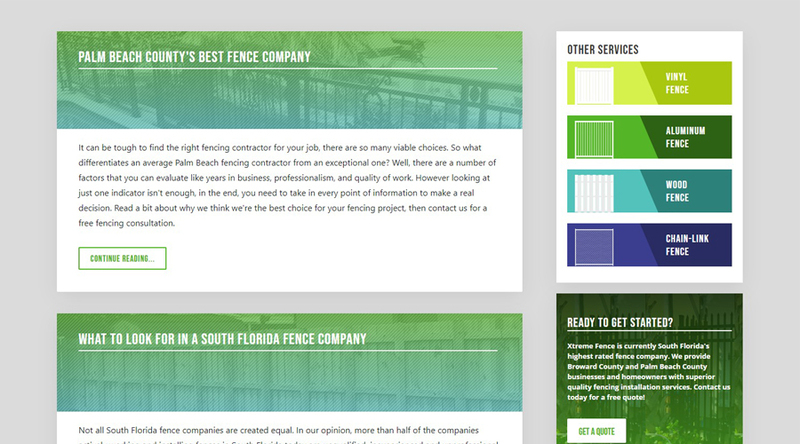 Our method of ranking local fence company websites is to create location-specific landing pages. 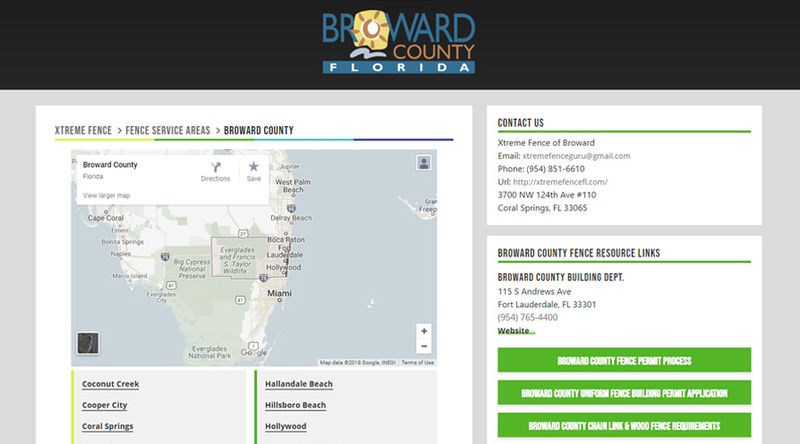 Since Xtreme Fence services Broward and Palm Beach counties, we created landing pages for each city within each service county. The service pages were set up with optimal page hierarchy for local search and are all internally linked in order to distribute page authority through the site. As a result, they went from showing up for search terms for 2-3 cities, to now showing up for every single city in South Florida.